Paula talks about a new book that just arrived at the store. 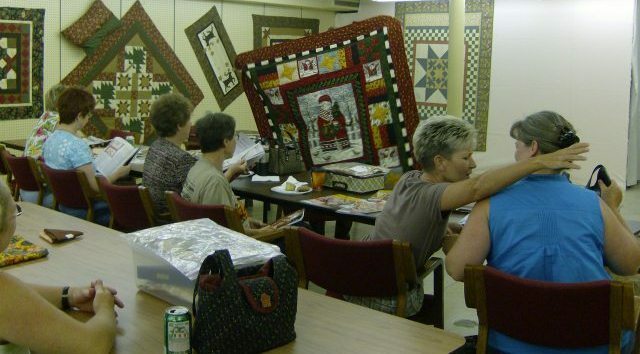 Paula show the class a new table runner sample made with Holly Jolly Snowmen fabric. 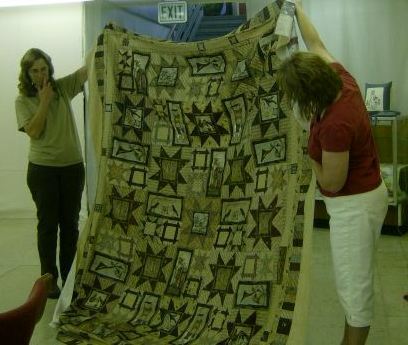 She also shows a throw quilt made from the same fabric line. 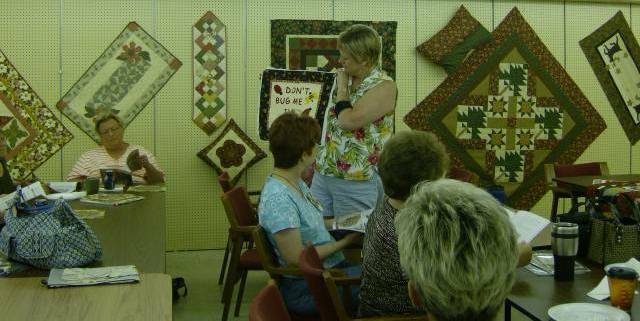 Pam Thompson and Christi Pike look through some magazines and patterns to see what is new. 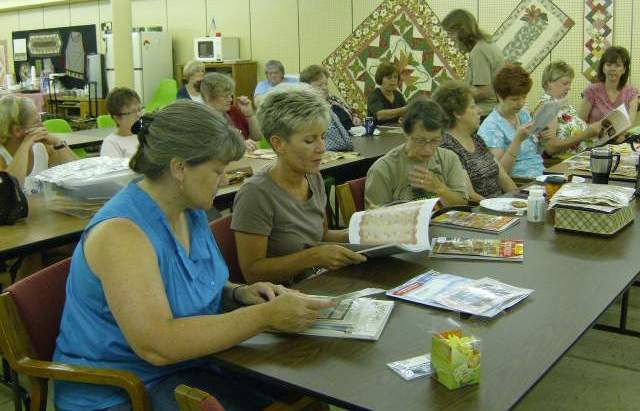 Paula passes out new patterns and magazines for the ladies to look at. 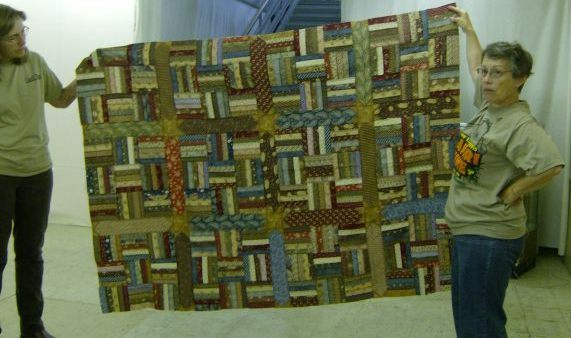 Melinda Hobson shows off her Vintage Homestead quilt she made. She choose to make hers bigger with a little more fabric. 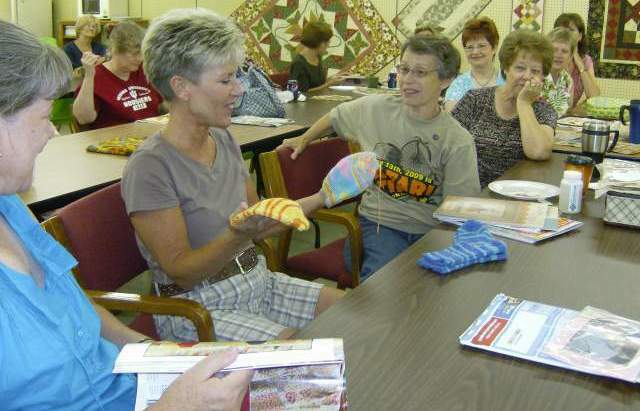 Marcella Mahuron and Christie Pike have a good laugh as Christie shows off her socks she knitted. Here Christie shows off some little hats she knitted for her new grandchild on the way. 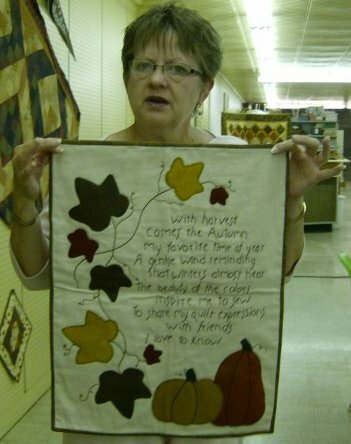 Melinda with a wallhanging she done. 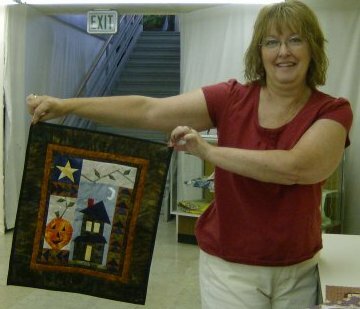 Melinda show off another wallhanging she made. 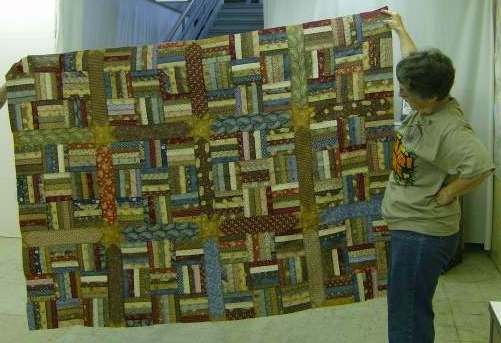 Marcella shows us a quilt she made using scraps from a her Facts and Fabrications block of the month. 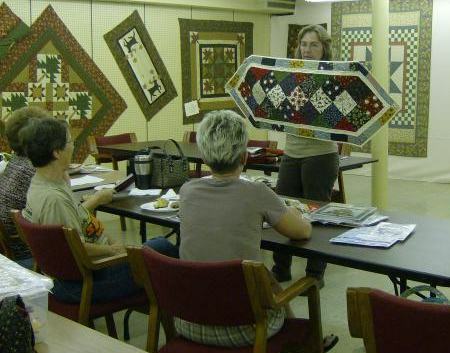 Here Terri Agan shows off her round robin quilt . 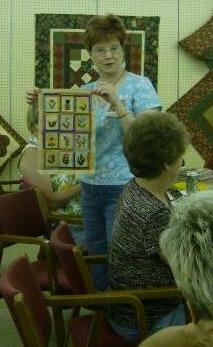 Donna Faris shows her miniature quilt she made using wool applique's. 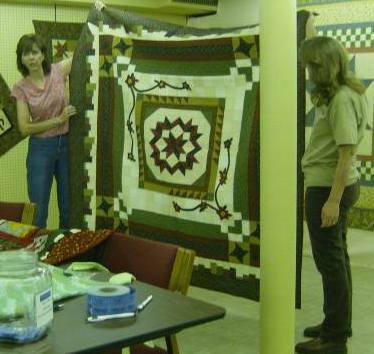 This is a closer look at the miniature quilt. 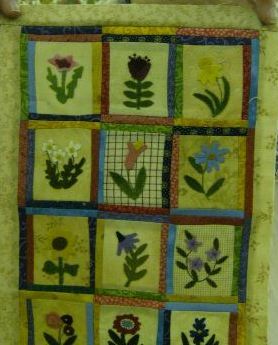 The pattern used was Little Buds by Primitive Gatherings. This pattern is available in our new pattern section. 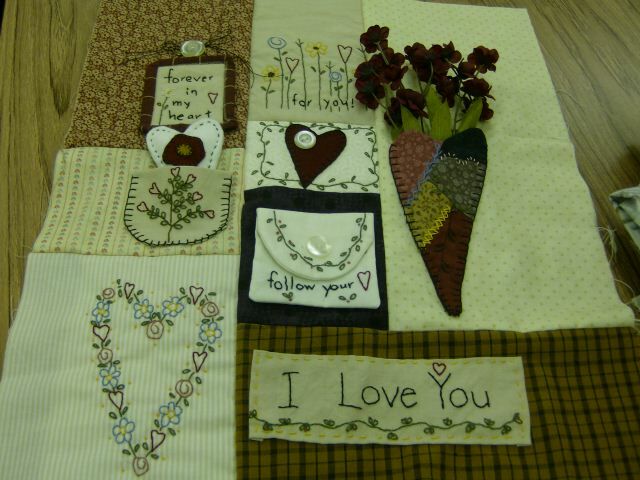 This stitchery was done by Melinda Hobson. 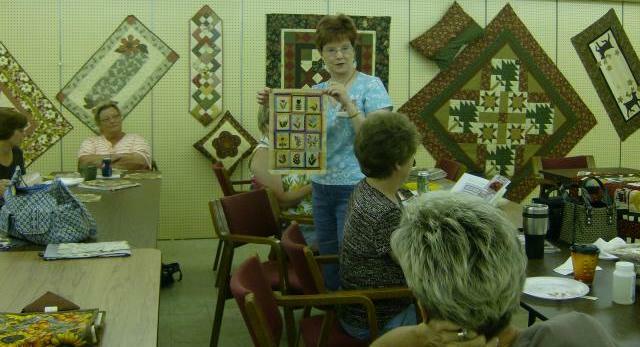 Here Jan Hieb shows her little project off. Here the ladies just chat and have a good time. That is what club is all about. This entry was posted on Thursday, July 2nd, 2009 at 2:45 pm and is filed under Uncategorized. You can follow any responses to this entry through the RSS 2.0 feed. You can leave a response, or trackback from your own site.